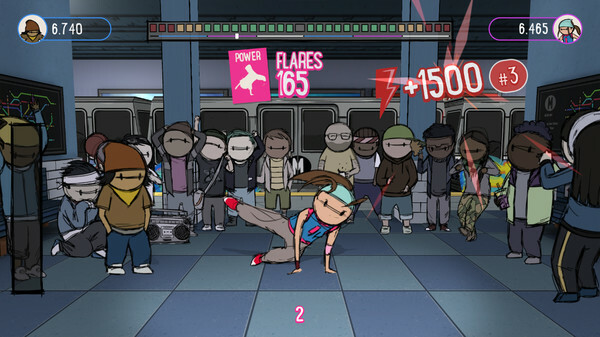 Break dance game expands to more platforms. Floor Kids will launch for PC via Steam on May 16, followed by PlayStation 4 and Xbox One this summer, publisher MERJ Media announced. The company also announced that the Floor Kids original video game soundtrack composed by scratch DJ and producer Kid Koala will launch on April 27 via Arts & Crafts. It features 42 tracks / 71 minutes of original instrumental hip-hop and break dance music. Floor Kids is a new breakdance battle game featuring unique freestyle gameplay, rhythm challenges, and multiplayer sessions. Discover stylized hand-drawn graphics by award-winning animator JonJon set to an original soundtrack by world-renowned scratch DJ / producer Kid Koala. Innovative controls allow you the freedom to play the way you like with a dynamic scoring system that rewards your moves based on musicality, originality, and style. Build up your crew of bboys and bgirls, unlocking new characters and locations as you cross the city, busting hundreds of different moves and countless combinations on your journey from the corner to the club. Bring Your Skills. Build Your Crew. Find Your Style. Unlock eight unique characters each with 16 moves and over 100 transitions between them. Find your style with innovative freestyle controls that perform toprock, downrock, power, freeze, and combo moves. Win over the crowds with a scoring system that rewards musicality, originality, feel, and style. Floor Kids first launched for Switch in December 2017.